Finally got round to sorting out my New Zealand 2012 photos. Sometimes I hate it that I take so many photos. It takes eons to whittle out the handful of photos that will make the cut from the hundreds that I have taken. I remember my 1st digital camera 10 years ago. With the memory card being so small, I was happy to get 50 photos at Disney World. And it’s Disney World mind you. Now, just day trip to the zoo gets me like 300 photos, and this is after much restraint! 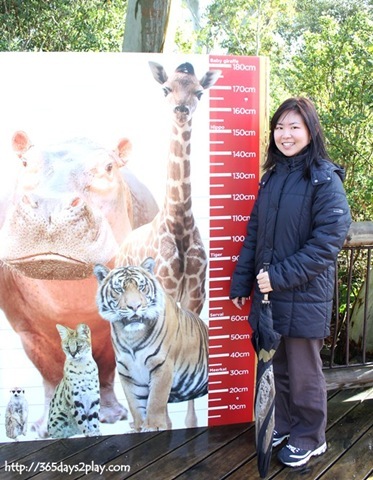 Anyway, last month, I finally had the opportunity to visit the Auckland Zoo. 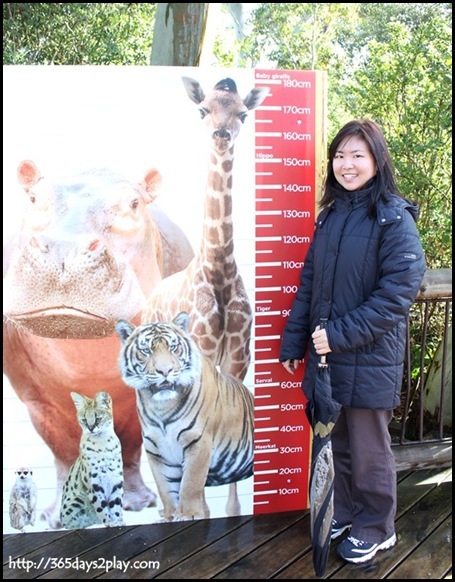 The Auckland Zoo was low down in my priority list since we already have a world class zoo right here in Singapore. Also, I’ve been to a number of zoos around the world, and in New Zealand, I rather visit the petting farms where I can touch the animals than merely view from afar. But it being my FOURTH visit to New Zealand, I had to dig up something to do. Let me get straight to the point. The Auckland Zoo is FANTASTIC! It is such a beautiful zoo and such a wonderful experience walking the grounds that at some points, the hairs on my arms literally tingled with the excitement and awesomeness of it all. If you are going to Auckland, you definitely have to take some time to go visit the Auckland Zoo. It would be time and money well spent. Visitor Comfort – If there’s one thing that New Zealand has got going for itself, it is the weather. It is very pleasurable to be out and about without having to mop sweat off your forehead every 5 seconds. Unless a huge air-conditioned dome is built over the zoo, the hot and humid weather will always be a bugbear for Singapore. Lively animals – It’s a no brainer actually. If you don’t want to be out in crazy 34 degrees celcius, guess what, the animals at the Singapore Zoo feel the same way! I noticed a lot of the animals at the Auckland Zoo were up and in full view, pacing around, or swimming, or swishing their tails or just being plain awake. At the Singapore Zoo, most of the times, the animals were lying down, sleeping or hiding somewhere in the shade, out of view. Even the Night Safari animals seem sluggish. I know, because I’ve been there more than 10 times! 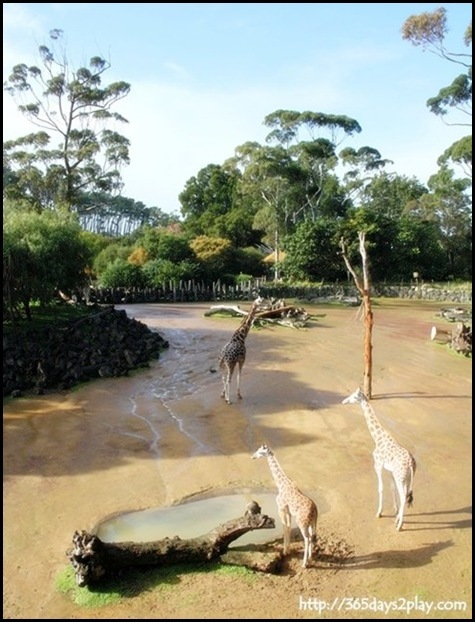 Pretty as a picture – Okay I may be a little biased, given the weather and all, but I think the Auckland Zoo is prettier. It is like a beautiful park, which just happens to have animal exhibits! There is a river flowing through the park too, with lots of little duckies swimming in them. I don’t know why there are no ducks in our ponds and rivers and to me, a pond or a river just ain’t complete without ducks! Don’t get me wrong though, I do think our Singapore Zoo is pretty too, and part of the zoo overlooks the Upper Seletar Reservoir. I just think that the Auckland Zoo is nicer. Location – Auckland Zoo is just 5 minutes from Central Auckland whereas the Singapore Zoo is located in a “remote” region of Singapore. It’s like if you were in Orchard Road, the Auckland Zoo would be where our Botanical Gardens is. But given that Singapore is pretty small to begin with, this actually isn’t a significant point. And, if you were cabbing, that 5 minute ride to Auckland Zoo would probably cost you S$20, same as if you were cabbing to Mandai! Other than that, both the Singapore Zoo and Auckland Zoo are world class zoos in their own right. The best part about these zoos are that the animal are housed not in cages but in enclosures made to look like their natural habitats. Also, both zoos boast of walk-in enclosures where visitors are able to mingle with the free-ranging animals. I would most definitely encourage tourists visiting Singapore or Auckland to visit the zoos! I make it a point to visit the Singapore Zoo every year or so.